Is your child having trouble concentrating and staying on task at home or at school? Are you tired of getting calls from your child’s teacher telling you of in-class behavior problems and missing homework? Do you feel that you’ve tried everything possible to get your child to succeed in school, with friends, and in extracurricular activities, but nothing is working? Does your child complain of “hating” school, being teased, or not having friends? Does your child not seem to listen to you, and you’re tired of explaining things over and over? Has your child been acting out in other ways, such as not completing chores, interrupting ongoing conversations, blurting things out, or taking risks apparently without thinking of the consequences? Do you wish that your child could be more focused and organized so he/she could succeed at school, at home, and in the community? Your child’s struggles may be causing you concern and stress. Perhaps a teacher or pediatrician recommended that you get your child evaluated for “ADD” or “ADHD,” but you’re worried about what that might mean for your child’s future. You may feel like everyone is judging you for the problems your child is having, even though you have tried everything you can think of to help your child succeed. Maybe you are feeling exhausted, frustrated, and confused. If you suspect that your child may have an attention disorder such as ADHD, you are not alone. Children often struggle with problems like paying attention, doing schoolwork, or following through with tasks that are expected of them. Many parents hope that these problems are a phase that their children will outgrow, but become more and more concerned as time goes on and the problems continue.It is important to know that ADHD is just a different way that your child’s brain is wired. Your child’s struggles are likely due to a disconnect between the demands of the modern world (particularly school) and the way he or she wired, and not a defect in you, your child, or your family. Some children do grow out of their fidgeting, difficulty concentrating, and behavioral issues. But, many others – especially those dealing with other behavioral problems – need some extra help and support to get them on the right track. Thankfully, there is a way to help your child do well in school, be more present at home, and feel more calm and engaged life. 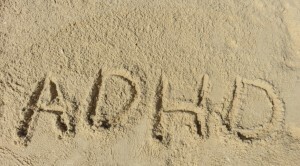 For over six years, I have helped parents and children better understand and approach ADHD. During ADHD treatment sessions, I will teach you specific skills to help you assist your child to succeed in the school environment, follow through on tasks and assignments, make and keep friends, and gain greater self-accptance and optimism for his or her life. Using these skills can increase your child’s self-esteem as he/she begins to find success in daily life. Most parents report that the skills they learn in therapy help them feel better about their parenting and give them more effective ways to help their children. They also report that their relationship with their child improves the more they use the skills. Getting ADHD treatment early can prevent future problems in the teen years and prepare you and your child for his/her successful future. I also have many years experience working with local pediatricians, family practitioners, teachers, and school staff to help parents of children with ADHD advocate for their child and get the services their children may need. If you desire (and give written consent), I can also assist you in coordinating with school staff to help them better understand the challenges your child is facing and the ways that your child might be better able to succeed in the academic environment. Good coordination between all adults working with your child is a best practice, and I will strive to help you advocate for your child’s wellbeing and develop allies in the school and/or community. A thorough evaluation of the problems your child is having and the situations in which he/she is having difficulties can lead to a better understanding of the challenges your child is facing. Together, we will not only come up with a plan to help your child, but to return you to feeling confident in your ability to help him or her to experience the best possible life, now and for the future. Will my child be labeled with a diagnosis and then treated differently by teachers and peers? We know that many adult mental health problems originate in the childhood or teen years, and that early detection and intervention can prevent more severe problems from occurring in the future. Getting help for your child when problems are first noticed gives your child the best chance for success now and in the future. A diagnosis is not a lable that defines your chld – he/she will still be a unique person with his or her own skills, goals, and talents. And, your child’s mental health information is protected, and except in extreme situations (e.g. potential for self-harm or serious harm of others, child abuse, etc.) will not be released to anyone other than you (or other legal guardians) without your permission. I am worried that medication may not be right for my child. While I do not prescribe medication, I can help determine whether medication might be appropriate or whether other treatments might be better suited to the situation. Many local pediatricians often require an evaluation by a psychologist before they will consider prescribing ADHD medications. There are other conditions that can mimic the symptoms of ADHD and a thorough evaluation can help determine whether medication, psychotherapy, or a combination of the two are most appropriate. Some children only use medication for a short amount of time or through their school years. Together, we can explore the options available to you and your child, and if medication is a possible recommendation, I can provide you with a report to take to your child’s pediatrician. We don’t have time for ADHD treatment. Many parents worry about the amount of time that will be needed to engage in therapy for their child, and how this will fit into already busy schedules. Usually the payoff in time saved (e.g. fewer calls from the school, less time spent trying to get homework done, child completing more tasks independently) more than compensates for the time invested in ADHD treatment. I also offer some evening and weekend appointments to meet the needs of working families and families with school-age children. If you have concerns about your child’s focus, attention, hyperactivity, or other behaviors, please request a free questionnaire to see if your child might need further evaluation or help. You can also download this free report [_______] for more information about ADHD and ADHD treatment for children. If you are ready to consider evaluation and/or treatment for your child, please call me at (808) 747-3445.